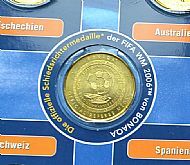 A great collection of football coins from the 2006 world cup. 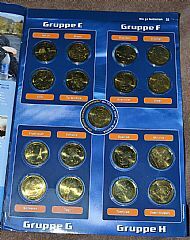 Not sure if it came complete or if you needed to buy the medals to make the collection. 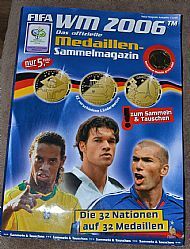 An official licensed product no less. 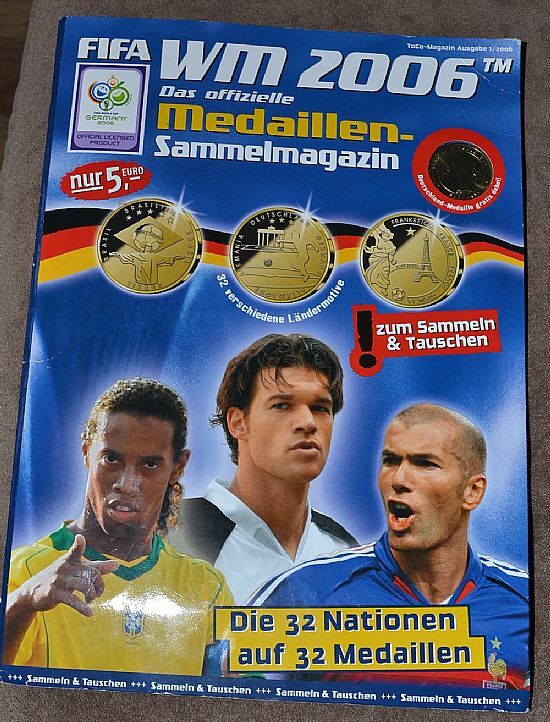 Nicely presented folder with medals for each of the 32 countires plus a referee coin as well. 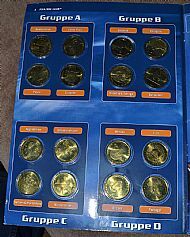 Complete set in magazine folder, coins perfect, magazine very slightly worn.